Generational theory is used to explain the cultural and behavioral differences between adults and their children. Parents usually pass their values and beliefs to their children while interacting with them, so children would be expected to be similar to their parents. But parents are not the only influence on children. Gradually observable differences develop between parents and their children, and those differences seem to accelerate during the teen years. Generational theorists have pointed out that where and when a person is born is not nearly as important as how he or she grew into adulthood. If a person leaves adolescence in an era of stability when there is little societal change, then that person will likely will end up very similar to his or her parents. If, on the other hand, a teenager enters adulthood in a world full of change, then he or she will likely be remarkably different from his or her parents. A generation tends to be about 20 years, representing the time of birth of a group of people to the time they “come of age” and become adults (in their twenties). This concept is important as we look for new opportunities for older-adult ministry and evangelism – especially with baby boomers. Often people who lie on the cusp of a demographic cohort believe they have missed out on being a part of the group that best defines them. However, birth-year boundaries for generations are not as precise for sociologists as for demographers. For instance, conventional wisdom says that the baby boom occurred between 1946 and 1964. However, being born during these years doesn’t necessarily qualify a person as a boomer. Some people had extended childhoods. Perhaps their family lived overseas during their teenage years, which means their college were later. Hence, their “coming of age” was later than those who shared a similar birth time. 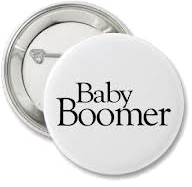 A friend of mine was born in 1944 in Japan, two years before the 1946 baby boom began in the United States, but he classically fits the culture of leading-edge or alpha boomers. The time his family spent overseas delayed his start of school until the fall of 1952, which means he finished high school and college about the same time as younger peers who were born during the early years of the baby boom. He is really a baby boomer, even if he was born before the 1946-64 boom. Likewise, I have a neighbor born in 1970, who was raised by older boomer siblings. She became a parent at a young age, and she is more a boomer than I am; and I was born in 1957, the peak of the boom. This is important background information, because on the horizon for many of us boomers is a second coming of age, a second coming into our own, much like the first venture into adulthood (in the 1960s and 1970s). Our experiences with it will form us as a very different culture and group. This second coming of age is the aging process itself. 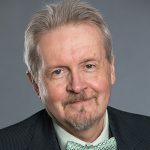 No less than Dr. Bill Thomas, the founder of the Eden Alternative approach to wellness and medicine and the Greenhouse Project to de-institutionalize the retirement industry and nursing centers, has suggested as much in his 2014 book Second Wind: Navigating the Passage to a Slower, Deeper, and More Connected Life. This new coming of age will be different in some ways, but it will have the same effect of forming boomers as a new culture. The large number of aging boomers will again change the reality of life in the United States. The final outcome will be as hard to predict as our first coming of age in the 1960s and 70s. Sociologists are watching for the effects, and marketers are taking advantage of the numbers of boomers with disposable income. The new “coming of age” for the boomers should be front and center for the church, which never truly made great inroads with boomers in their first coming of age. We lost almost an entire generation. Many boomers gave up on institutions like the church. 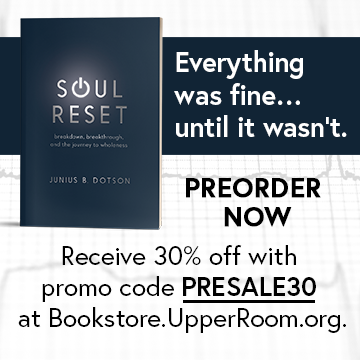 They did not give up on their hunger for real community or relationship with God, however. A number of boomers call themselves Spiritual, But Not Religious (SBNR). The church moved on without these boomers, as these boomers moved on without the church. Older adulthood is a journey of self-discovery — of a new identity. Who are we when we no longer do what we did on our jobs? We take on a new identity in retirement. Older adulthood is defined by different relationships at retirement. Retirement may involve making new friends, moving to a new place, losing old relationships — whether through leaving behind coworkers or through a loss like divorce of mates or the deaths of friends. It is a change marked not by addition, but by subtraction. Older adulthood may begin with a new sense of independence. Older adults sometimes describe three phases of aging: (1) Go-Go where they are independent and active, (2) Slow-Go, where they are somewhat dependent and active, but need some assistance, and (3) No-Go, in which they are inactive or frail and are dependent on others to assist their everyday movements. Boomers tend to deny they are aging. We don’t want to be like our parents, so we need some help. Astute churches, such as Church of the Resurrection, with its Crossroads Ministry, are helping boomers to age gracefully. They are bringing people back to God, to the church, and into the community of faith. How we boomers age will set the tone for aging for those who follow us, the baby busters and millennials. Through our lifetimes, we have exerted change upon the landscape. This is explained by our sheer size: the baby boom accounted for approximately 78 million births, which is still the all-time record for births in the United States (sorry millennials, but you only had about 72 million births). All through the aging spectrum, we have changed the way of life for succeeding generations. Whatever happens to us boomers in our second coming of age in retirement, it is important for the church to be involved and take advantage of it, to claim us boomers for the kingdom. This second coming of age will change how we do older-adult ministry, with whom we do it with, and the setting of ministry with older adults.